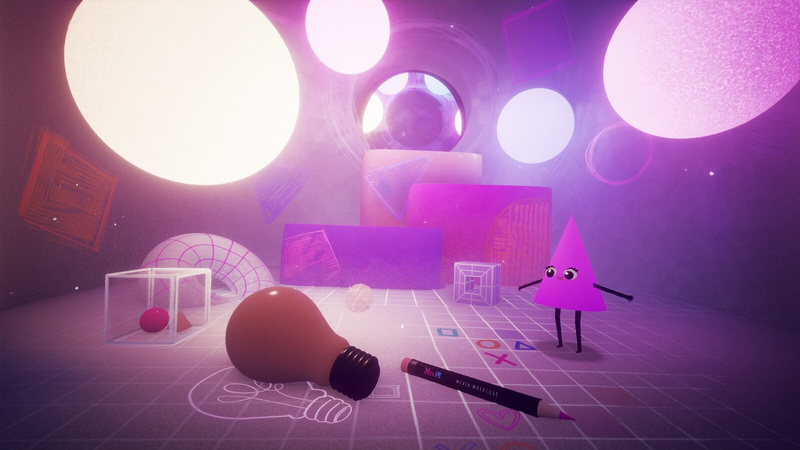 Media Molecule's Dreams has been a long time coming, and while it's technically still not done, we're now just hours away from the arrival of the Early Access release. Following on from the successful beta test, the studio is now ready to release its highly ambitious creative sandbox to a wider audience while it finishes up development. So, what do we know about Dreams Early Access? Below, you'll find all the information you should need ahead of launch. What is the release date for Dreams Early Access? What time will Dreams Early Access be available to purchase? How much does Dreams Early Access cost? Where can you buy Dreams Early Access? Is Dreams Early Access available to everyone? Are there limited spaces for Dreams Early Access? What is included in Dreams Early Access? Is PlayStation VR support included in Dreams Early Access? Will you get the full game if you purchase Dreams Early Access? Will creations you make during Dreams Early Access carry over to the full game? Is there an NDA or embargo for Dreams Early Access? Do you need to have PS Plus to play Dreams Early Access? Dreams Early Access launches on PlayStation 4 on Tuesday 16th April 2019. 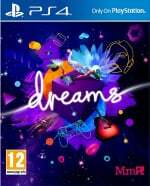 Dreams Early Access is priced at £24.99 / €29.99 / USD $29.99 / CAD $39.99. 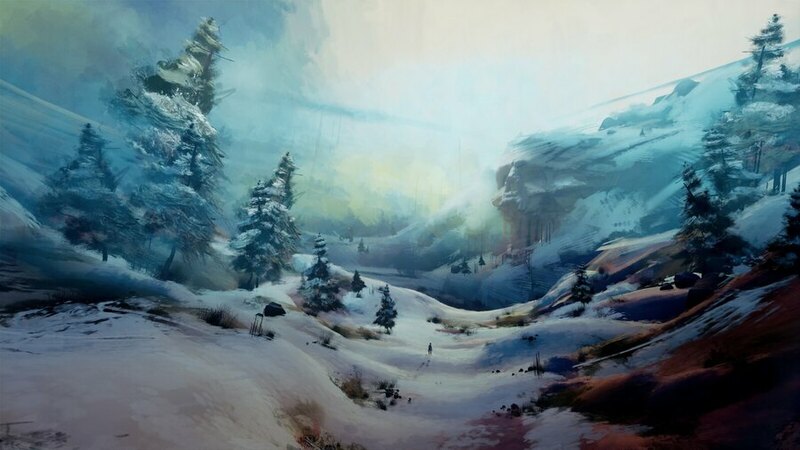 Dreams Early Access will only be available digitally from PlayStation Store. 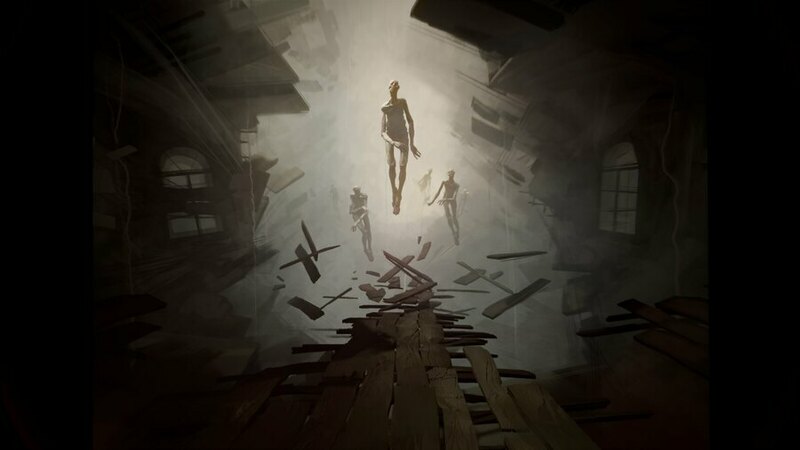 Dreams Early Access will initially be available in the US, Canada, UK, Europe, Australia, and New Zealand. It will support English, German, French, Spanish, and Italian languages, with plans to support more later on. Yes, Media Molecule has a cap on the number of people who can purchase Dreams Early Access in order to ensure it can listen to everyone's feedback. We don't know what the limit is, so if you want to get involved, you'll need to make sure you're ready to buy it as soon as you possibly can. Dreams Early Access gives you full use of all the creation tools, tutorials, and community features. This means you'll be able to create and share whatever you like, and you'll be able to play and interact with any of the creations published by other users. This includes everything shared during the Dreams Creator Beta test, so there will be lots to go through from the start. No, PSVR won't be supported in Dreams Early Access, but the functionality is being implemented for the full launch of the game. Yes, Media Molecule has confirmed that those who buy Dreams Early Access will receive the full version when it's released. Yes, everything published during the beta or Dreams Early Access will remain when the full game launches. Nope. You're allowed to make videos, live stream, or otherwise share your experiences with Dreams Early Access with no restrictions. Media Molecule has said you won't need PS Plus "to access any of the features of Dreams Early Access at launch." We take this to mean that PS Plus isn't necessary for Early Access, but will be when the full game launches. Are you excited for Dreams Early Access on PS4? Have you been cooking up some creations, or will you spend more time playing user made experiences? Get imaginative in the comments below. I wouldn't be surprised if PSN buckles under the weight of so many people trying to buy this when it goes live tomorrow. £25 for the whole game is an absolute bargian. @Acquiescence I wish the hype surrounding Dreams was that big. @Areus same here I never been the one to make cool stuff I just don't have the imagination for that but I always enjoyed playing other people's awesome stuff in LBP. @Kidfried @Quintumply @rjejr Here's hoping we all get in this time around! So incredibly pumped for tomorrow... Booked the rest of the week off to get properly stuck in. Bring on 10.30 Tuesday! @Areus Me too. And I think being there from the beginning-kind-of will add to the experience. @Octane Thanks, you too man. Spent too much time yesterday discussing w/ the kids whether we're getting this or not, seemed like a waste w/o PS+ and no single player mode, but if we don't need PS+ I guess we're in for $30. One thing the faq left out that I'm sure most people want to know - when does the full game release? The cynic in me sees it only releasing on PS5 and this is all some kind of marketing ploy, like Yooka-Laylee kickstarter getting it's most money for the Wii U version. Even if we only pay $30 I'm still going to be very annoyed if I need a PS5 for story mode. I guess best case cynicism they are using this to get people to sign up for PS+ when the game releases. @rjejr There is no indication whatsoever that it will only launch on ps5. Zero. You have nothing to worry about. You're just overthinking it. @rjejr You don't need PS Plus for early access. Dreams is definitely coming out this year, and the PS5 is still at least a year away. If the PS5 is BC and all I expect PS5 compatibility at some point (I imagine everything carries over and it's the same game between both systems). But you don't have to worry about that right now. For Media Molecule's sake, I hope everything goes smoothly tomorrow. I just can't shake the feeling something is going to go wrong and people will be flooding MM's Twitter. Whether it's going to be something with getting into the game or running out of spots for the early access within 3-5 minutes while everyone is dealing with a laggy server. I hope the space isn't too limited... I won't be able to purchase it until a few hours after it goes live. @naruball "There is no indication whatsoever that it will only launch on ps5"
The Dreams game engine was first shown off in the PS4 announcement 6 years ago in Feb 2013, with a beta promised pretty much every year since then, the game itself was properly announced 2 years later at E3 2015 nearly 4 years ago, and they are just now getting around to a "limited" Early Access release. Nothing about that timeline makes me sure the complete game is releasing any time soon. And they screwed up the beta as several of us on here can attest. So, I'll believe it when I see it b/c this has been a long bumpy slog just to get to this point. @Octane Worrying makes up about 95% of who I am. I am only after the creation tools so this early acces is great for me......... my wallet is topped up just hope I sleep tonight been a long time coming but well worth 25 quid . Thanks for the comprehensive information Push Square there were a few things that I needed to know and they have been answered. Sooooo excited for Dreams a U.K. Game too. @rjejr When has a game had a beta on a console but was released only on its successor? That's right. Never. Like I said, your assumption is completely baseless. The reason I bought a PS4 recently is this game! Tipped me over the edge and never had any PS before. This could be essentially unlimited gaming for the price of one game if the creations are anything like the media is suggesting they will be. @quinnyboy58 I think Sony will shift more consoles once word gets about. This is ideal for game makers, artists, kids, musicians anyone that dares to be creative imaginative it could change gaming as we know it. I predict "Dreams" is going to be massive. Did you go all in with a PSVR and Move controllers? Is it supposedly to be available to preorder now? There's nothing on the store. @Octane haha yes just a few so far all costing next to nothing! God of War, Wipeout, kingdom hearts the story so far, ni no kuni 2, persona 5, little big planet 3, ratchet and clank, tearaway, digimon story, journey and jak and daxter. Will get DQXI and Spider-Man when price drops a bit as got plenty to get on with. Any recommendation for me? I like Nintendo and Rareware single players style games as you can probably tell from the list! I also have Spyro Trilogy on Xbone. Early access is available now on the german store (console store)! Purchased. Can't wait to get home. Haha. Got one right on 10.30. Can’t wait to remember how bad my creation skills are. Got one. Still not overly sure why because I will likely have no idea how to use it, or have the patience to make anything good. But I'm hoping it's simple enough that my son and I can make things together on there. Only 2gb install size as well! Honestly guys, GET THIS GAME! This is incredible. I don't care if it's in early access, beta, or a bloody demo this is well worth £25 imo. The amount of content here already is astonishing and it's only gonna continue to grow. There's gonna be entire websites dedicated to picking out the best creations from this. This is a special moment in gaming imo. Get on board now. @quinnyboy58 As someone who grew up on Nintendo; I'd say Shadow of the Colossus and The Last Guardian. Not really Nintendo-like games, but I do prefer action/adventure single player games. Both are cult classics (and if TLG isn't yet, it will be once enough time has passed I think). Very different experiences from other games, but I dig the world building and lore in those games, the straight forward gameplay (even though it can be a bit clunky at times). Gravity Rush is worth looking into as well. I quite liked the first game. The second one is good as well, but it drags on a little too long imo. And not a PS exclusive, but if you haven't played Hyper Light Drifter yet, you should! @Rob_230 I was a little hesitant at first because I don't see myself as a creator, but the last 2 hours have just flown by checking out some of the things that people made back when the beta was going on a few months ago. In a week or so when more people get stuck into this early access period, there's gonna be a lot of content to try out. @Octane "Here's hoping we all get in this time around!" It was supposed to release in my region 35 minutes ago but I still can't find it online in my web browser. Gonna go check my PS4 now. Did you have to fill in some secret society handshake code or something or was it just there? @rjejr It took a while. I think I had to wait 5 minutes before it appeared. Try searching for ''early access''. Don't try ''dreams'', as you'll get a ton of clutter. @Octane I got it, thanks. Now I'm just sitting here listening to the GoT theme as I wait for it to download. And hope I don't regret the $32.57 purchase. It's installed, more later. A game/experience that finally makes a lot of use of motion control and I really hate it. Find the use of it very frustrating. Hopefully they will provide other options on full release. .. just purchased now in UK (17/04) - so must be a lot of copies to go around... sad that VR option isn't here... but at least it gives me time to get used to new UI / toolset... I'd really like to create something like Theseus (PSVR)... I thought the RE-style fixed camera angles and over-the-shoulder perspective worked really well... hey, I'd also like to do a PSVR version of Donkey Kong... the sky's the limit! I bet Media Molecule are really annoyed at Sony for announcing the PS5 on the same day this got released and thus totally overshadowing something that people were looking forward to. Not one mention of it anywhere since the PS5 announcement. Shame. I got it and it's good. I'll be interested to see what becomes of it!